Following his doctor's instructions, engaging simpleton Charlie Gordon tells his own story in semi-literate progris riports. 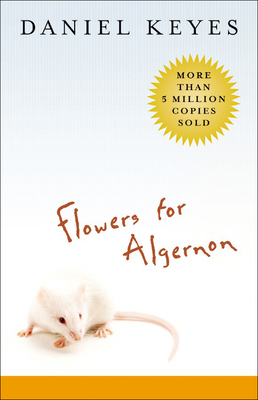 He dimly wants to better himself, but with an IQ of 68 can't even beat the laboratory mouse Algernon at maze-solving. Then, an operation turns him into a genius and introduces him to heartache.